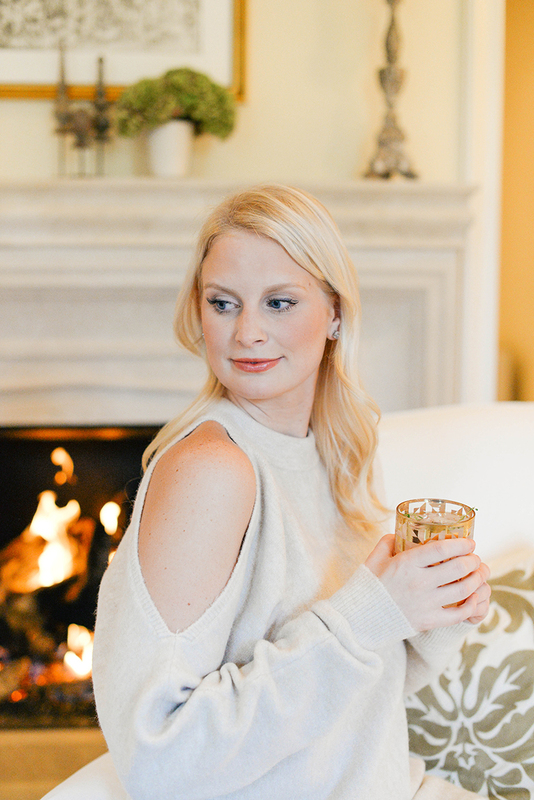 If you know me, you’ll know there’s nothing I enjoy more than sitting by a warm fire with a cocktail in hand. As soon as the weather dips below 65 degrees, I turn my fireplace on. I know it’s a little ridiculous, but I just LOVE it. 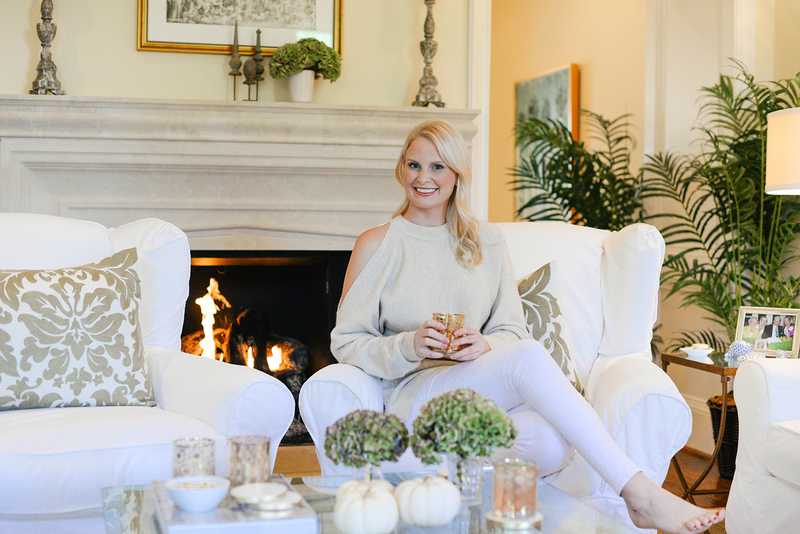 While I’m definitely not the hostess with the mostest, I do enjoy having my friends over for drinks and dinner. I always have wine on hand, but if I’m having a group over I also like to have a fun signature drink. Whether that’s margaritas during the summer or cider during the Christmas season, it takes the festivities up a notch. 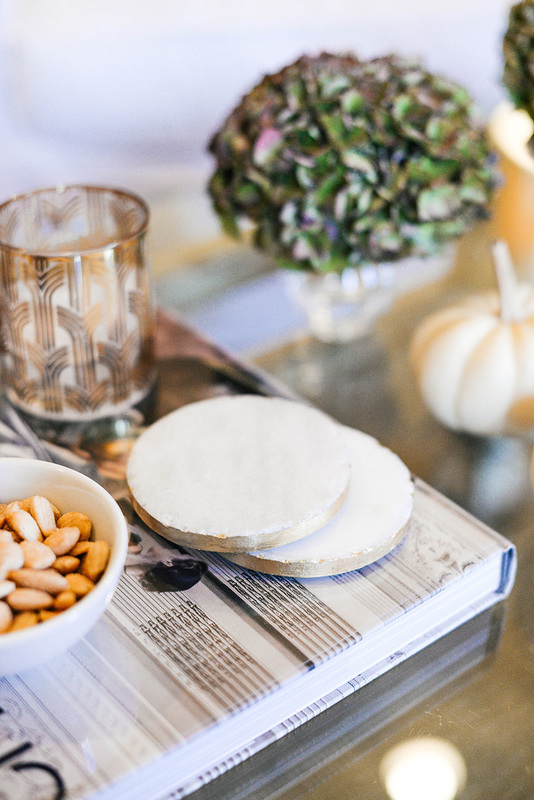 I wanted to make a splash at my most recent girl’s night, so I picked up these gold art deco tumblers and these gorgeous marble coasters to add a glam touch and compliment my pretty white pumpkins for fall. I’m really loving the decor right now in the Wit & Wonder collection at Nordstrom! There are so many great gift ideas (and gifts for yourself!) 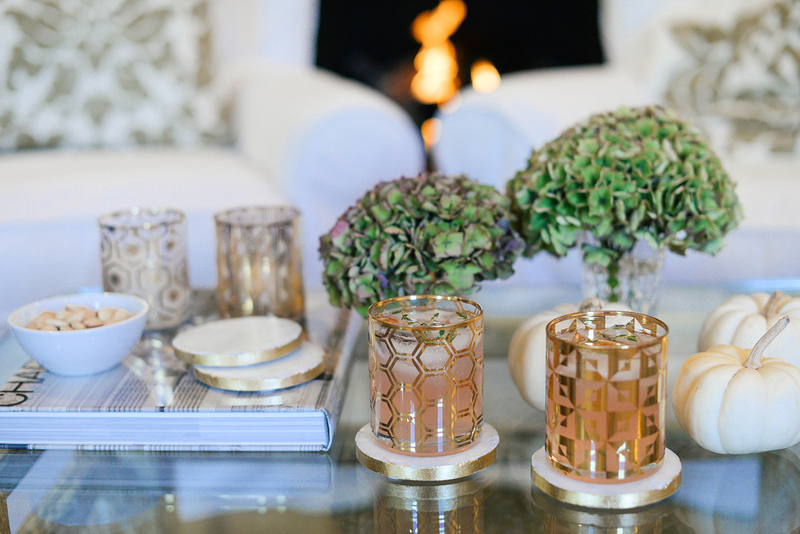 like this shearling pillow, these champagne flutes, and these gold porcelain coasters. They even have my witty doormat! 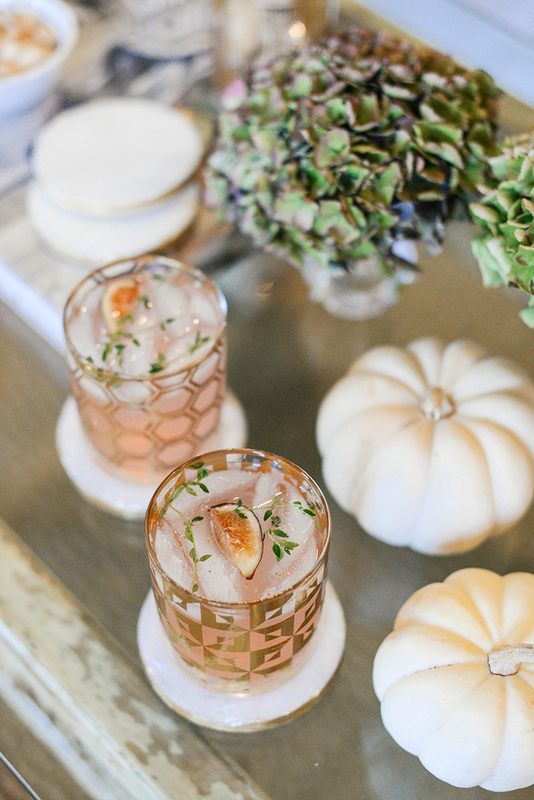 I found this recipe for a fancy fig & thyme cocktail, which sounded so delicious and perfect for the fall season! 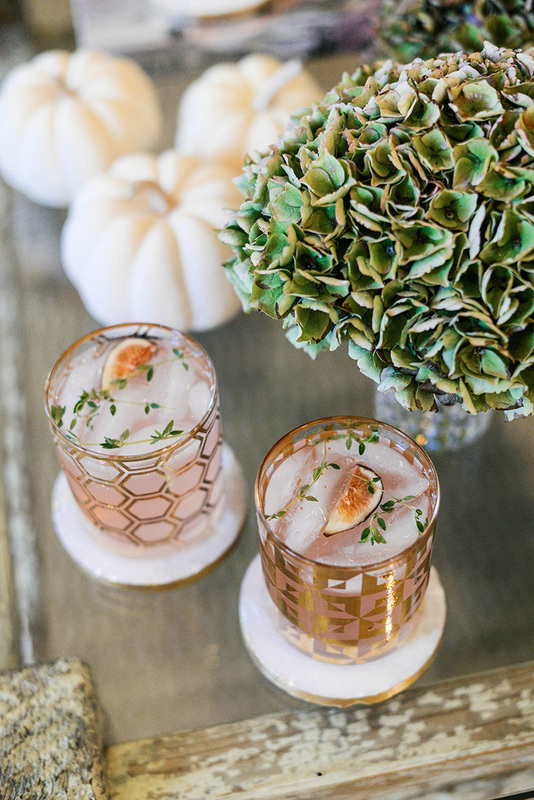 The twigs of thyme and sliced figs make the drinks incredibly beautiful, don’t you think? I thought it would make the ideal signature drink for a night in with my girlfriends. 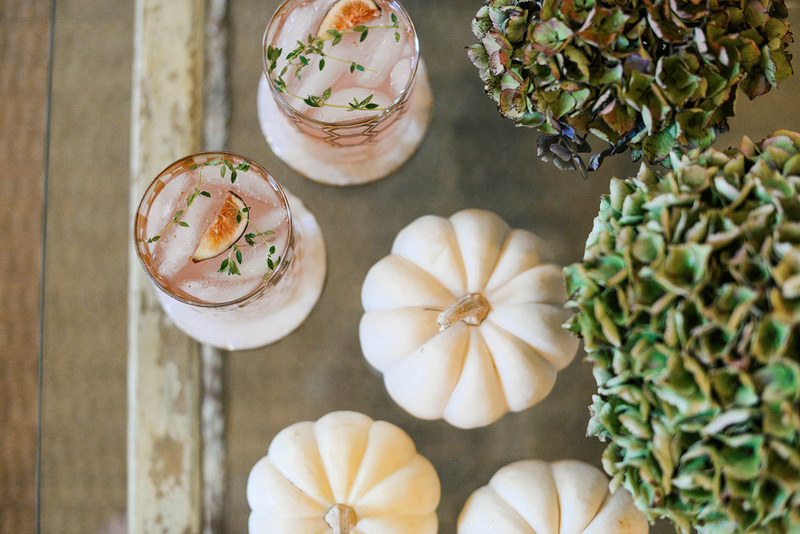 Check out the recipe below to concoct this drink for yourself this fall! Start by making the thyme simple syrup. Add sugar and water to a small saucepan and stir on medium heat until the sugar dissolves. Once dissolved, add thyme and let simmer for 10 minutes. Remove thyme and pour liquid into a heat-safe cup or jar. Let cool. To make the cocktail, add the quartered fit and thyme simple syrup to the bottom of your mixing glass. Break up the pieces of fig by muddling lightly. You’ll start to notice the color of the fit bleeding into the mixture, especially if the figs are super ripe! Color will vary depending on figs. Next, fill your mixing glass with ice, and add the remaining few ingredients. Place your shaking tin on top of your mixing glass and seal it into place. Shake for 10 seconds. Double strain through a fine mesh strainer into a tumbler. Garnish with a sprig or two of fresh thyme and half of a fig. Omg looks delicious! And so festive for this time of year. Great post! Oh, sounds so good! Thanks for sharing. So this looks fabulous! Cheers girl! This sounds delicious and I’m definitely bookmarking for next fall when I can drink again!! Ahhh I love it too! Such a fun way to celebrate this time of year. I am so missing cocktails like this. It sounds amazing and your presentation is beautiful. can’t wait to try this, thanks for the recipe Merritt! I have to try this bc I love Thyme and the flavor of figs. This post is so classy and festive. The sweater you’re wearing is gorgeous. I always love everything Tibi! I’m in the market for a really well made pair of white jeans. What brand would you recommend? 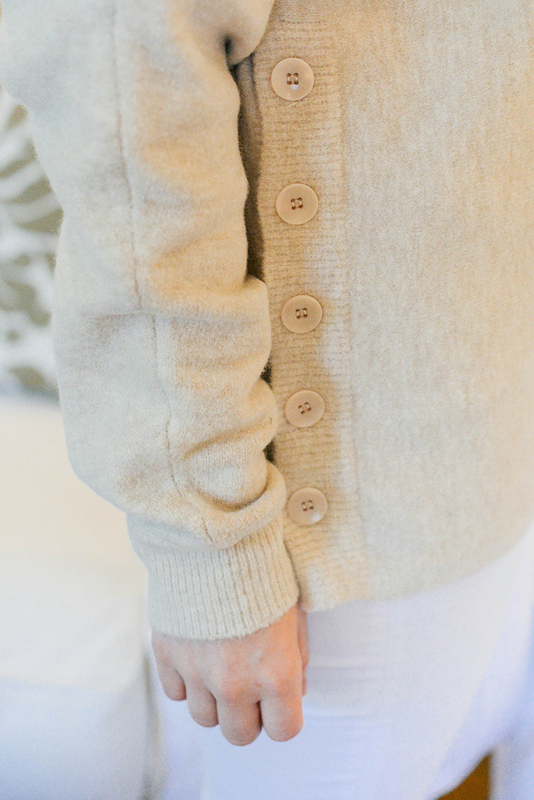 I love Citizens of Humanity…but white is so tough. I have yet to find the right pair. YUM! I cannot wait to try this! I love thyme and never thought to include it in a cocktail. And you look so lovely, as well!